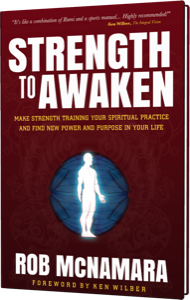 "Strength to Awaken is a powerful integration of body, heart and spirit and is an essential step in the realization and mastery of you. 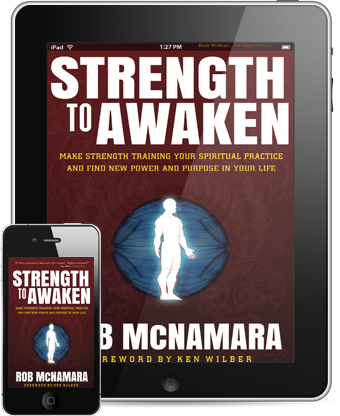 Rob McNamara's profound awakening of the body's wisdom is truly gorgeous. You need this book!" 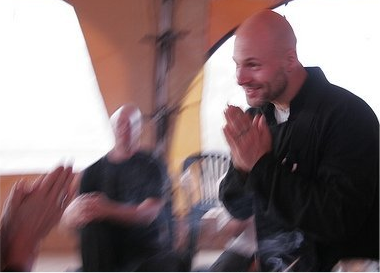 "Rob McNamara shows us how to look through the integral lens to build not only our body but also our mind and spirit. Rekindling a time honored respect for excellence, he exhaustively details the many habits of psyche and physique we must transcend to attain mastery. Innovative and insightful!" "Now the gym is truly the training ground for life"
“A must read for anyone interested in somatic development, strength training, body mind centering and personal evolution." “There is an urgency that is sparked with reading this book; an aliveness in these pages that inspires and calls the reader to seize the opportunity to live life completely, authentically, with Excellence." "I love Rob and his message is timely and important. It's, in part, the deeper, higher, further reach of what I've taught." Try before you buy. Read sample chapters.